This morning I woke at the unGodly hour of 6am in order to catch the 6.50am train into the city. I had an 8.15am appointment at the U.S. Consulate General on St. Kilda Rd in Melbourne and was advised to get there a half an hour before my appointment time. I managed to find my way to the Consulate and upon entry into the building, I noticed a queue had already formed. I was maybe the tenth person down the line. They took us in five people at a time. We entered our passport numbers into the computer systems and were issued a sticker with a barcode to wear on our shirts before our belongs were scanned through the x-ray machine and we had to walk through the metal detectors. Our bags had to remain at the security desk and we were only allowed to take out paperwork and our wallets in. We were all told to take a seat and just wait until our number was called. In the mean time, we watched a security measures video and a montage of immigrants who had set up home in the U.S. and looked all happy and pleased with their new lives… it was on replay so I watched it no less than 15 times. Number 12 was called to window one so I made my way over. The old man behind the window asked for all my documents and my passport. He then took electronic fingerprints from both my hands and told me to sit back down. That was easy enough. Another hour or so passed before my number was called up again; this time to window two. The American lady behind the window asked a what reason I had to return home, asked to see financial proof of how I would support myself and then asked to see a copy of my University degree. She also asked if my previous trips to the U.S. were just for pleasure to which I nodded. I was rather nervous but that was soon forgotten when I saw her look up and smile at me… “Congratulations, I see no reason to not give you a visa. Everything is in good order.” To which I responded SWEET! Thank you! I left with the biggest smile ever plastered across my face! I caught the train back home and headed straight over to STA Travel to purchase my airfares. At this point, I was still feeling a tad iffy about the response I had received from U.S. Customs and Border Protection last week. I didn’t want to risk flying into Los Angeles Airport then have the Customs Officer try to enter me on my J1 visa (even though I had been advised that I could enter on a Visa Waiver), so I decided to not take any chances and purchase a direct flight to Canada without any stop overs in the U.S. It was a tad more expensive than flying into L.A., but at least this way I know it will be hassle free and I get to fly my favourite airline, Air New Zealand! Yay to having a personal entertainment unit and movies and TV on demand the entire way! Departure is June 28 flying from Melbourne > Auckland > Vancouver > Montreal… woah, what a mouthful! I have my return flight booked in also flying Air New Zealand from Los Angeles to Melbourne however, I have to call closer to my return date (which, at this point is August 15, 2010) and push the date back further as they couldn’t issue the ticket that far ahead of time yet. I’m so excited! Not long to go now! EEEEEEEEEEEEEE! For the last week I have been racking my brain and emailing every U.S. visa and immigration contact I could find an email address for online. It was driving me insane that everywhere I searched online, I could not find the answer to my one very important question. This question was the difference between a $1600 (inc tax) airfare or a $4000 airfare so receiving a response was imperative to me financial wellbeing. If the answer was going to be a no, then my only option would be to purchase a ticket with Air Canada as they fly direct from Australia to Vancouver which means I would be able to by-pass U.S. immigration. The only problem with this is a one-way ticket from Melbourne – Vancouver flying Air Canada is $3000 AU! And that is only one-way, I would still need a return airfare which would more than likely be another $1000 AU! Ridiculous. On the contrary, however, if the answer is a yes and I can transit through LA on a Visa Waiver ESTA, then I could purchase a return Melbourne – Los Angeles airfare for $1600 AU including taxes!!! $4000 and $1600… BIG difference! On my quest to find a response to this question, I was kindly directed to the CBP.gov (U.S. Customs and Border Protection) website. I searched every inch of pixel on that website trying to find the answer to my question, but no such success. However, what I did find was a nifty little section where you could ‘Find an Answer, Ask a Question‘. I searched through the question and answer database but still had no luck with an accurate response. After several search attempts, I noticed a new tab had become available which allowed me to submit my own question… PERFECT! I submitted my question last night and was extremely impressed to see a response waiting for me in my email inbox today… less than 24 hours, amazing! The best part is, it was the response I wanted to hear!!! “What your immigration “intent” is to do, is to make entry at LAX as a traveler for business / pleasure for which as an Australian citizen, if eligible, you may use the Visa Waiver Program and ESTA. You may do this because your “intent” is not to go to work at this time. Then after your holiday, it will be your “intent” to make entry as a J1 in Orlando. With this scenario having the J1 visa in your possession is not a problem. Problem solved. I am, however, going to print this response out and carry it with me through immigration in case I am given any hassles. I applaud the speed in which my submission was attended to, it was amazing, especially given the fact that they must receive a plethora of questions on a daily basis. STA World Travel Internship – Top 20 Announced! Back in January I blogged about the STA (America) World Travel Internship. STA Travel is the largest student travel organization in the world and over the last few months, they have been on the hunt for two world travel interns to traverse the globe and experience a number of travel adventures showcasing their experiences daily via journal/blog, video and podcasts. Unlike previous years, this years entrants did not have to be undergraduate students. Entrants needed to be aged 18-26, hold a US passport and submit a video to STA Travel outlining why they think they deserve this once in a lifetime opportunity. Well, the STA Gods have finally spoken and hand picked the top 20 finalists, all of which can be viewed at the STA Travel Wire Blog. Two of these 20 finalists will experience the opportunity to travel from the tropical waters of Fiji, to the red rock outback of Australia, India, Eastern Africa, Berlin, Scandinavia/Russia, Scotland and to the luscious greenery of Ireland. Any feedback on the entrants videos is much appreciated by the judges to help them narrow the competition down to determine the two winners, so head over to the STA Travel Wire Blog and get watching and commenting! Best of luck to the top 20 finalists! So you consider yourself a crazy traveler, hey? Well, I’m sure you’ve already heard about STA Travel’s ISIC card then, right? What! You haven’t? Where have you been living??? Dude, get with the times! ISIC is an International Student Identity Card and is the only internationally accepted student ID card around the world. That’s right, the world! The ISIC has helped over 40 million students to get the most out of their travel experiences. If you have ever purchased travel from an STA branch, one of their friendly staff would more than likely have introduced you to this handy little piece of plastic. With access to a global network of affordable and specialised student services, the ISIC is your passport to more than 40,000 discounts and benefits in 106 countries worldwide. As a frequent traveller, I must say that the best perk this baby has to offer are the discount international airfares! I’m terribly saddened that my ISIC card and student status will come to an end in March of 2009. I will forever cherish the wonderful memories, dollars saved and travel discouts we have encountered together over these last few years *sniff*. 1. ISIC – International Student Identity Card: You have to specifically be a student to take advantage of some 40,000 global discounts this card has to offer. 2. International Youth Card: If you’re not a full time student and under 26 *raises hand* then you can still experience a plethora of global discounts by obtaining one of these cards. 3. International Teacher Identity Card: Need a holiday after dealing with screaming kids? This card offers a whole list of benefits and discounts for teachers who hold one of these babies. Sounds pretty cool, right? I’ve saved thousands on international airfares just by having one of these cards and purchasing my airfares through STA Travel. They really do cater to the student and young adult market and take care of everything to ensure your trip is an enjoyable one! Where can you get yourself one of these cards? Well, you can either go directly into an STA Travel branch and get one made up or you can apply for one online. They only cost $25 which, in all honesty, is peanuts when you compare it to the dollars you will be saving with this card in the future. Easy peasey. Travel is always more enjoyable when you know you are getting the best deal on it! 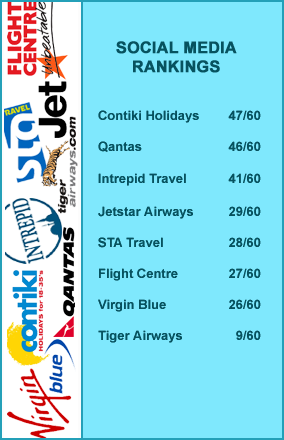 STA Travel Australia, I have always been a loyal customer to you; never have I ventured off to Student Flights or Flight Center when in need of airfares, accommodation or travel advice. You see, I only have eyes for one travel agent, STA Travel, and that, my friend, is you! Just recently though, my love for you was tainted upon finding out that STA Travel USA has beaten you to the podium in all things cool. STA Travel Australia, I suggest you listen up and take a page out of STA Travel USA’s book. Apparently it is what all the cool kids are doing. STA Travel is the largest student travel organization in the world. They recognize the personal growth and unique perspective that young people gain from global experiences; they believe travel changes people’s lives for the better. On the contrary, STA also recognizes the reason that most young people do not travel are finance-related issues. In order to solve this dilemma, STA Travel USA is searching for TWO World Travel Interns to traverse the globe experiencing a number of travel adventures and showcasing their experiences daily via a journal/blog, video and podcasts. Unlike previous years, this time around you don’t even have to be an undergraduate student to take part; you just have to be aged 18 to 26 and hold a US passport. This is a once in a life time opportunity that will see you travel from the tropical waters of Fiji, to the red rock outback of Australia, India, Eastern Africa, Berlin, Scandinavia/Russia, Scotland and to the luscious greenery of Ireland. This is something you should not even have to think twice about. To be in with a chance to intern for STA Travel, simply create a two to three minute video explaining why you would be the perfect World Travel Intern for 2009. To read more about this amazing prospect, you can visit the STA Travel World Intern site or visit the STA Travel site directly. This really is a once in a life time opportunity that is too good to miss. I would eat my own sock to be able to enter into something like this! STA Travel Australia, I hope you are listening… err, reading. Learn from your overseas brother! Applications cease on March 8, 2009 so get a-working on your video entries. What are you waiting for?